En riktig försommarlayout idag, den är till Challenge YOUrself och där ska jag ju själv vara med. Denna månaden har de denna bilden som inspiration. 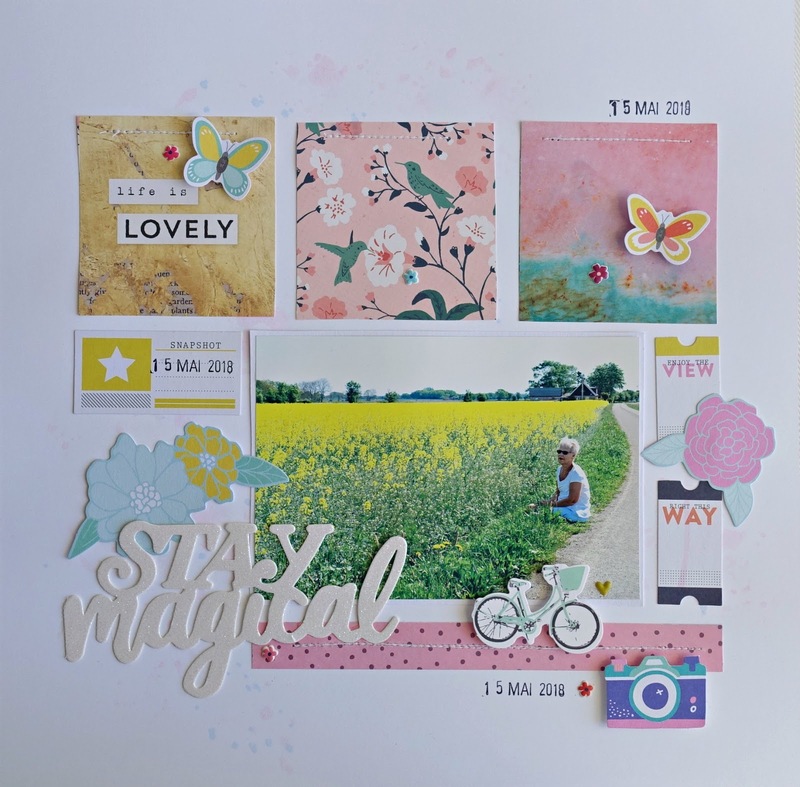 Jag gjorde en ganska enkel layout med papper från Crate Paper, Maggie Holmes flourish och lite olika dekorationer. Foto från en av våra cykelturer nu i vår. WOW, Christel! Your take on this month's challenge is absolutely gorgeous! I love the photo so much! Your design, your title, how you used the photo, everything is just beautiful. Thank you so much for joining us at Challenge YOUrself this month. We are very happy that you did! Thank you so much Sharon, you make me so happy! 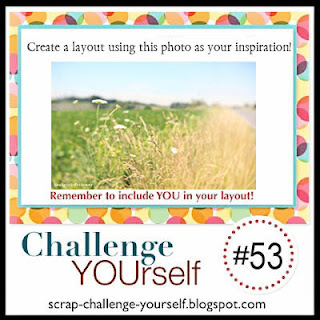 Wow, this is so beautiful, your photo, your paper choices and your design, perfect! Thank you for joining us at Challenge Yourself. Such a wonderful layout! Love the papers, your beautiful photo and clever design! Thanks for playing along with us at Challenge YOUrself this month. WOW! What a great photo and a great take on the challenge! Love the design! Thanks for playing along with us at the Challenge YOUrself Blog! So fresh and awesome page! I love it! Thank you for joining us at Challenge Yourself!